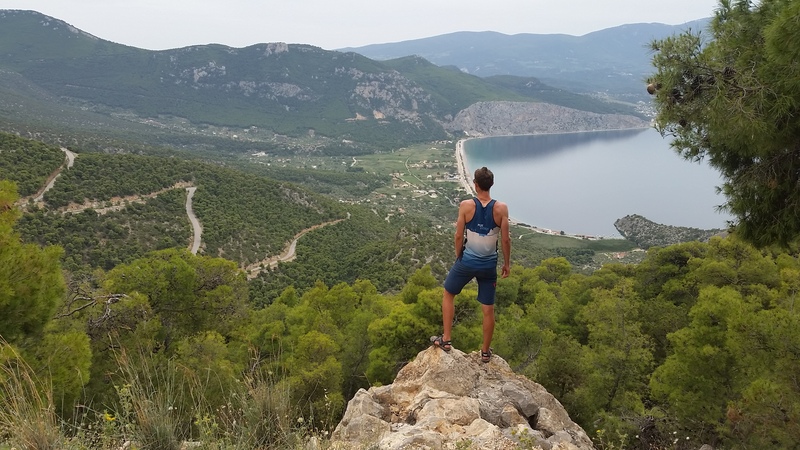 It’s been hot riding in Greece, even though it’s still only late Spring, so we’ve been grateful for the plentiful water fountains that dot the hillside providing opportunities for a quick duck of the head under cooling spring waters. There’s also been a good number of minimarts meaning we don’t have to carry so much food and there’s usually an opportunity for an ice cream/chocolate milk stop in the afternoons. 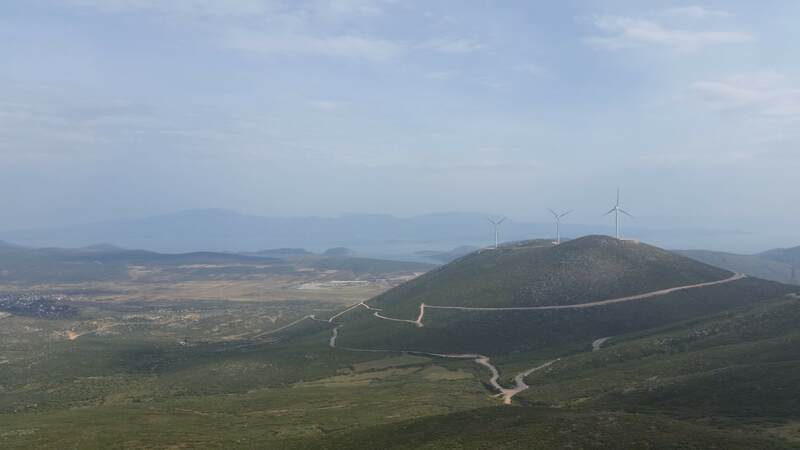 Leaving Smokovo Dam our route continued up and then along the valley side, undulating up and down with views across vast flat farmlands of wheat and olives and across to the bays of the Aegean Sea. Taking the secondary road to avoid State Highway 3 we climbed up to Eleftherochori village passing a WW1 memorial dedicated to the Australian troops who had fought in this area. Just before the village a car passed us whilst we were stopped for a break, and a large bearded man with a big smile got out and came to shake our hands. He spoke no English and we spoke no Greek but managed to gather from alot of pointing and shooting actions that this area was a big part of the partisan movement in WW1 and lots of Antipodean soldiers joined the Greek resistance here. We waved our goodbyes (several times) before hitting the road again which was cut deep into the valley sides and made for spectacular riding. Five minutes down the road our new friend’s car appeared again. He insisted we stop for a break. Having booked our ferry tickets to Crete the day before we were under a bit of time pressure and reluctant to stop again, but going with the flow we stopped by the village fountain where our friend proceeded to get out from his car some plastic cups with what looked like a large black olive floating in a black sambuca-like liquid, a small fork and some napkins. Jules took a tentative bite, whilst our friend flexed his biceps and presumably said something like ‘to make you strong’! The flavour was defintely aniseed and sweet and the texture like a chewy dried fruit. More sign language and he showed us the tree where the ‘fruit’ grew. We later found out it was walnuts, never would have guessed, but of course from that moment on we saw walnut trees everywhere! Past Bralo and a touching British war memorial we stopped in Gravia to buy lunch in a minimart before heading up a 700m climb to Eptalofos. As we were packing the food away the lady in the minimart ran out with a small package for us ‘Greek feta cheese, the best!’ she said. We gratefully accepted and it made a splendid addition to our sandwiches! Eptalofos is on the north western slopes of Mount Parnassos, a popular ski resort, and is a ghost town in the off season. Over the top and into the Kalubia Libadiou valley ski chalets filled the valley floor, and at least one cafe and the petrol station were open for water! 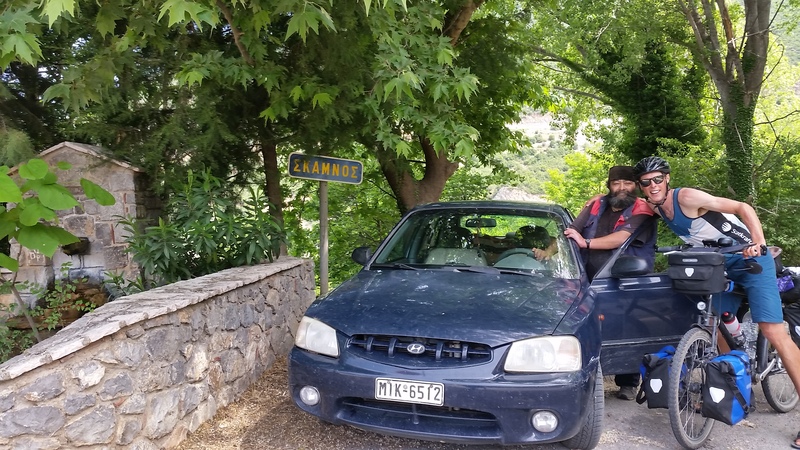 The place to stop and spend time (if you have it) is just down the road in Arachova, a charming town built into the mountain side with beautiful views down the valley towards Delphi and across to old Byzantine churches. There’s also an incredible bakery on the main road out of town which sells melt in your mouth ‘bougatsa’ - a greek pastry filled with semolina custard and sprinkled with icing sugar and cinnamon. 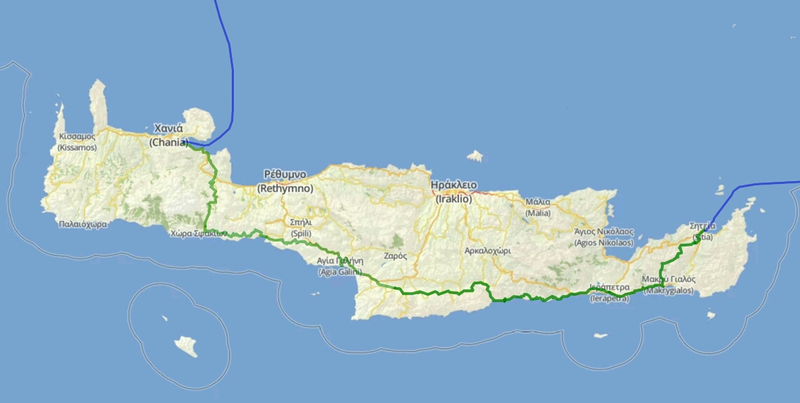 There is so much history in Greece and particularly in this area of central Greece, one could spend weeks here. We’re on the whistlestop tour though so freewheel down a very fun, fast decent to Distomo, which sadly is a town that faced an unexpected Nazi massacre in June 1944 (there’s a large war memorial on the hill above Distomo). 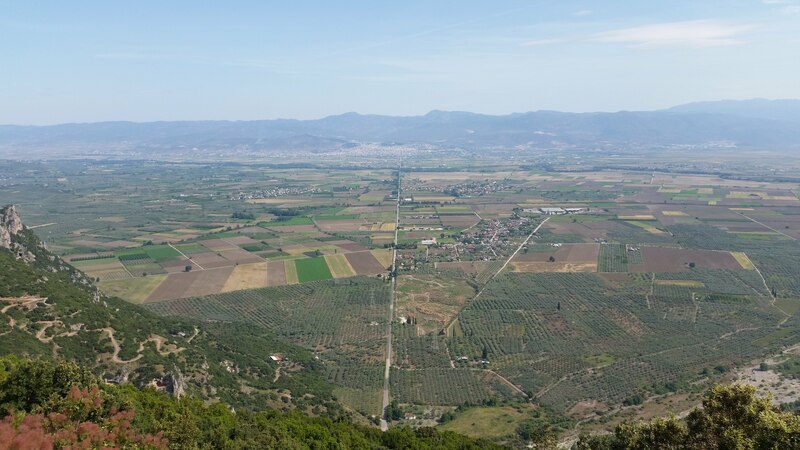 We got a good view up to the 10th century Monastery of Osios Loukas before climbing up to a plateau full of wild flowers and accompanying bee hives. A not so welcome swarm of bees, especially as Milly is allergic to bee stings! Down again, edging closer to the coast, wind farms dotted the hill tops as far as the eye could see. I’m usually a big fan of wind farms but many of these had carved ugly scars into the landscape to build all the access roads needed. We met a shepherd on the way down who told us grumpily about the re-introduction of wolves in the area, meaning he has to take his flock into a barn every night, ‘Greenpeace’ he muttered, ‘used to be able to let the sheep roam free. Not now, and no shooting, there’s a big fine if you shoot a wolf’. I don’t know the ecological history of the area but there’s obviously a balance which needs to be struck between conservation, renewables and the needs of locals. We also saw lots of solar farms near grazing lands and hope that the small farmers are being properly compensated for this. Road winding down past wind farms, which each have their own road cutting into the hillside. More hills to be climbed in order to reach the coast! Managed to avoid a few hundred metres of ascent by following an aqueduct down the valley floor which was worth it even if we were chased by sheep dogs. 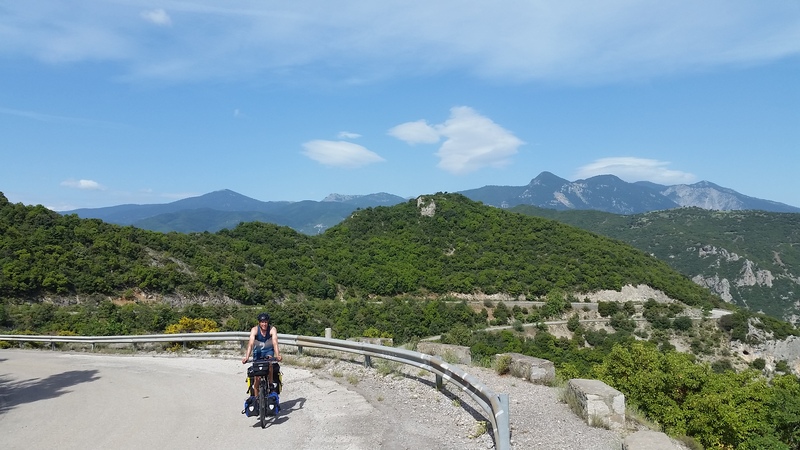 Our penultimate day on mainland Greece and we met another cycling tourist couple from France, cycling for 3 months to celebrate their retirement! It was the first time we had seen a tourer on an electric bike, and just goes to show how accessible cycling can be. Waving ‘au-revoir’ we sped down to the final big climb which would take us up and over to Alepokhori where we met the sea and stopped for a well deserved swim and ice cream! 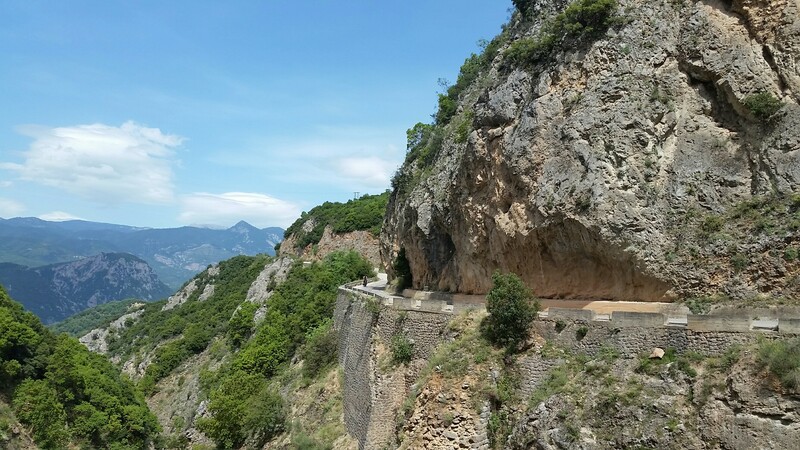 I lied, one more climb, a steep one too averaging 12% to avoid the main road. 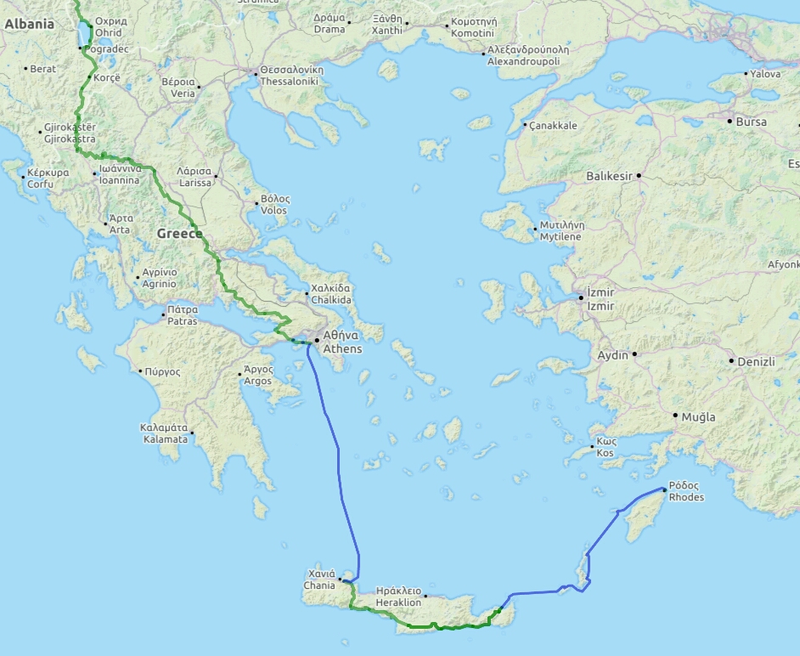 Jules mapped a great route into Pireaus though which involved a bit of ferry hopping from Megara to Salamina (a very pretty island where we stopped for our first souvlaki) and across to Perama on the mainland. From there it’s about 10km to the ferry terminal, the first section on a busy road but you can cut into the suburbs and follow the old railway route to the port which is mainly pedestrianised. 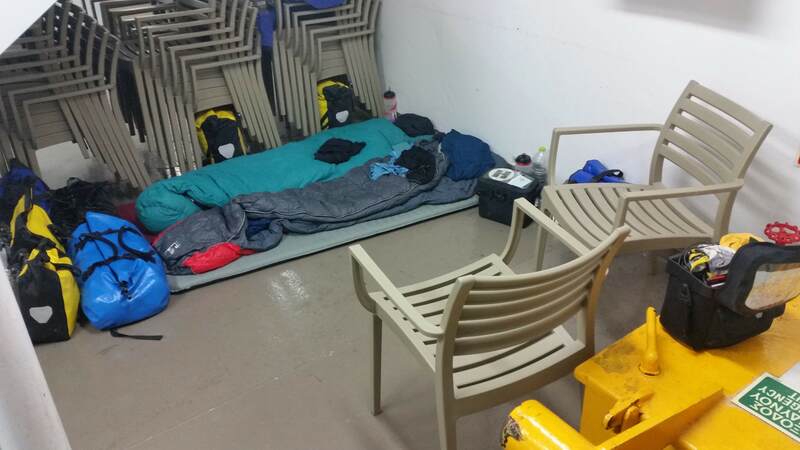 Our ferry camp - it was a good spot!